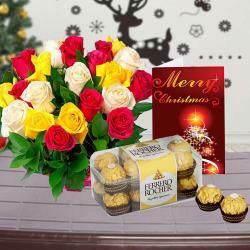 Product Consists : Bouquet of 20 Mix Roses (Yellow, Red and White), Assorted Cookies (Weight : 500 gms) along with Christmas Greeting Card. 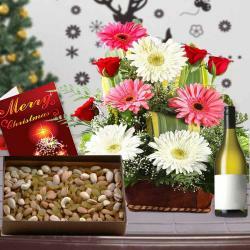 Make your dear ones feel delighted with this mind blowing gift combo. 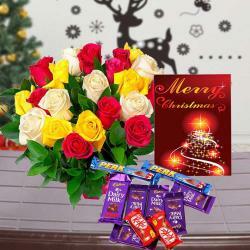 This gift combo is all set to delivers taste and happiness to your dear ones on this Christmas. It includes one attractive Christmas greeting Card on which you can pen down your message for the recipient. This gift combo also contains assorted cookies of three different varieties. It has chocolate chip cookies, dry fruit cookies and butter baked cookies. The texture and color of the cookies are very tempting. 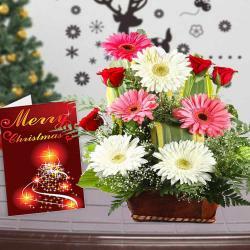 There is one rose bouquet also available on this gift combo with twenty roses of three different colors. It has yellow, white and pink roses beautifully arranged together making a colorful rose bouquet. 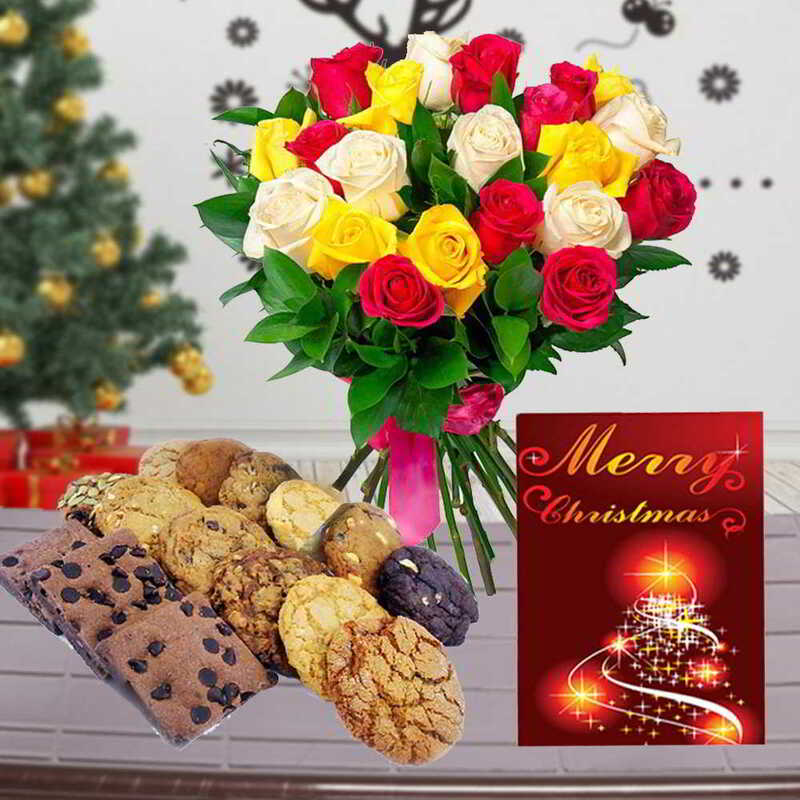 Product Consists : Bouquet of 20 Mix Roses (Yellow, Red and White), Assorted Cookies (Weight : 500 gms) along with Christmas Greeting Card.